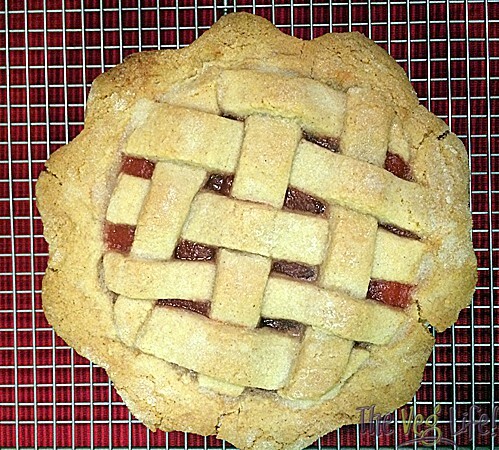 This pink applesauce tart was translated from an Italian recipe. I had never seen anything like it here in that states, so I just had to try it! 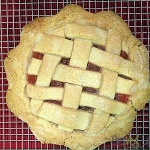 You get the distinct taste of applesauce with the most amazing almond crust that just melts in your mouth. In a food processor, combine all of the dry ingredients. When it becomes a coarse meal, add the egg. The dough will need to rest in the refrigerator for at least 30 minutes. 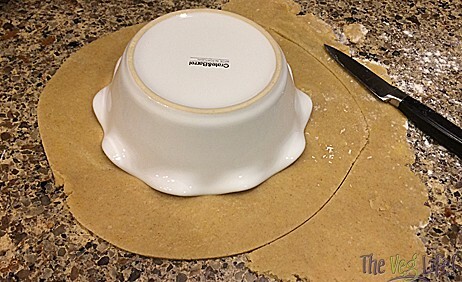 Roll to a thickness of 1/2 inch and using your tart dish, measure and allow about a 1/2 inch excess. Reserve the remaining dough. 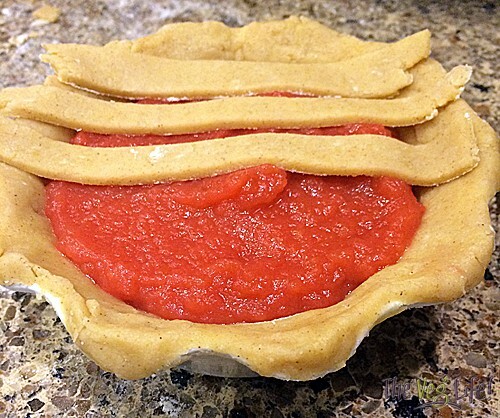 Using a rolling pin to transfer the delicate dough to the tart dish, gently ease into the bottom first, using a flat-bottomed glass to even out if necessary. 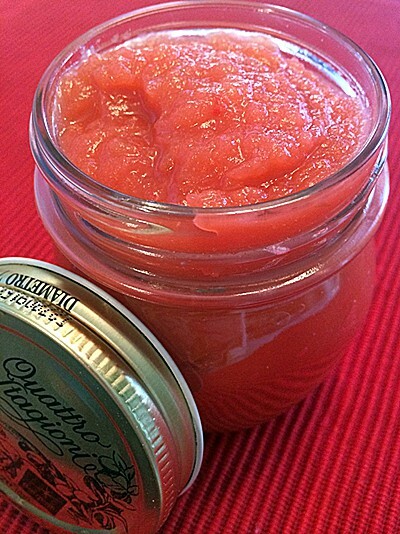 Fill will the applesauce. Do not over fill. 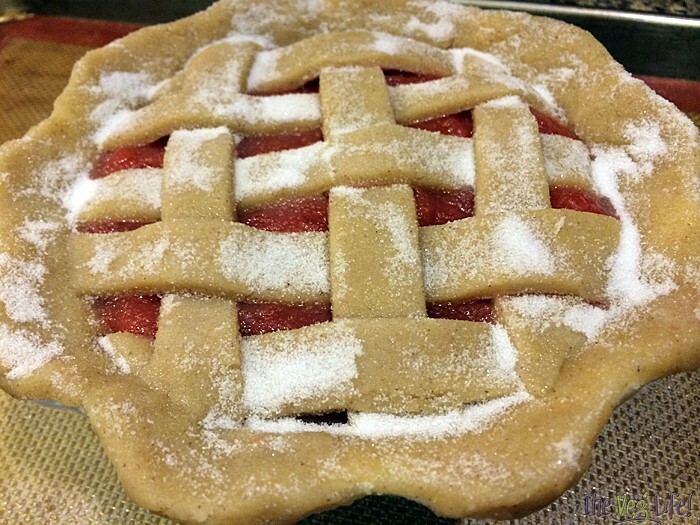 Cut the remaining dough into strips to form the lattice pattern atop the tart. Sprinkle the top with additional sugar. Bake for 25 minutes or until crust is golden and filling is set. Cool completely and serve with vanilla bean ice cream if desired.